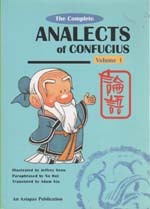 The Analect of Confucius is the gem in the crown of Chinese classics. Containing the teaching and deeds of China's most influential thinker, it has been made a basic textbook of Chinese education for more than 2,000 years. In just 12,000 characters, The Analect of Confucius covers a wide scope ranging from politics and management to education, art and morality. This exhaustive compilation of the sage's sayings and dialogues with his disciples, makes it indispensable material for a comprehensive study of the thoughts and person of Confucius. 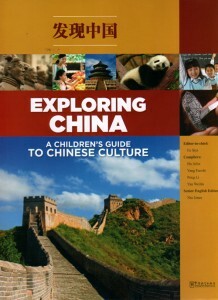 This special three-volume series, complete with English translation, the classical test, and its modern Chinese paraphrase, has been produced to make accessible the wisdom of Confucianism to both adults and young readers. Together with the humorous depiction by cartoonist Jeffery Seow, this rendition promises enrichment and undiminishing delight. 编码： 9789813068728. 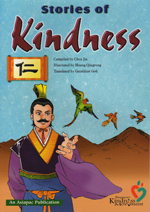 分类： Comics, Confucianism, History and Culture. The Analect of Confucius is the gem in the crown of Chinese classics. Containing the teaching and deeds of China’s most influential thinker, it has been made a basic textbook of Chinese education for more than 2,000 years. In just 12,000 characters, The Analect of Confucius covers a wide scope ranging from politics and management to education, art and morality. This exhaustive compilation of the sage’s sayings and dialogues with his disciples, makes it indispensable material for a comprehensive study of the thoughts and person of Confucius. 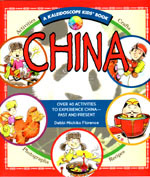 This special three-volume series, complete with English translation, the classical test, and its modern Chinese paraphrase, has been produced to make accessible the wisdom of Confucianism to both adults and young readers. Together with the humorous depiction by cartoonist Jeffery Seow, this rendition promises enrichment and undiminishing delight.